The words 'portion' and 'serving' sound similar and people often use these words interchangeably, but portions and servings are not always the same size. And that matters if you're watching your calorie intake and reading nutrition labels. 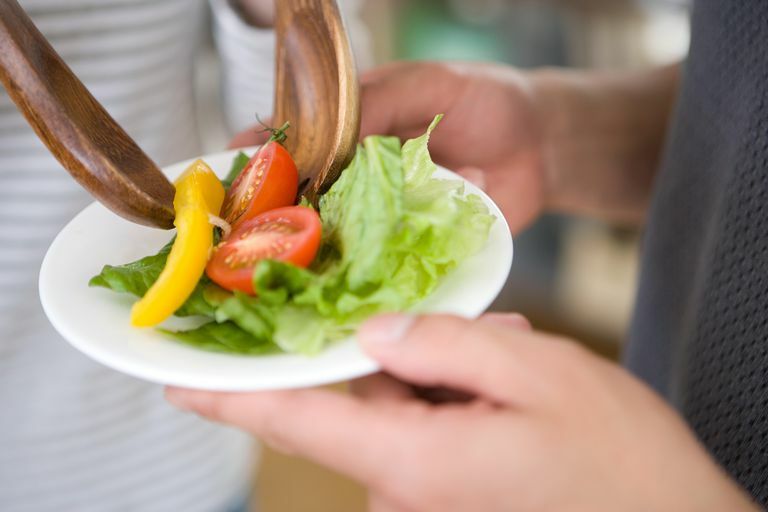 A portion is any amount of a specific food you choose to put on your plate while a serving is a recommended amount of that food based on health and nutrition guides like the United States Department of Agriculture's ChooseMyPlate.gov. Confusing portions and servings can cause confusion that leads to consuming excess calories, especially when you eat energy-dense foods and high-calorie snacks. Here's an example. According to the Department of Agriculture, one serving from the grain and cereal group is equal to one ounce. That's not much. One ounce of cooked white rice is only about one-half cup. The portion of rice you put on your plate may be much bigger, so you may think you're only eating one serving of rice when you're really eating two or three. That matters because each half-cup of rice adds about 100 calories to your meal, so you might think you're only eating 100 calories, but in truth, you're eating 200 or 300. You can see how the calories can add up quickly. Become familiar with serving sizes for the foods you eat every day. Packaged foods always show the serving size information on the Nutrient Facts labels, usually in ounces or in common kitchen measurements. You can also use an inexpensive kitchen scale, along with a few measuring cups and measuring spoons to measure your portions of foods at home until you feel comfortable estimating serving sizes without them. Foods like meats and fresh produce may not have Nutrient Facts labels, so you need to know that one serving of meat, poultry or fish is generally three ounces (about the size of a deck of cards). One serving of fruit or vegetable is usually one piece of the produce; one cup chopped or sliced fruit or vegetable; or 3/4 cup of juice. A serving of cheese is one and one-half ounces, which is the size of a pair of dice. Once you get comfortable with understanding serving sizes, you can use that information to track your calories accurately in a food diary or on a diet website. Tips for controlling your portion sizes. If you eat at a restaurant, ask for a container and take half of your meal home, or split your meal with your dining partner. If you like to snack while watching TV, measure out one serving of your snack - don't take a whole bag of chips with you into your TV room. Serve dinner on the plates, rather than family style (serving dishes on the table). You'll be less tempted to load up on second servings if they're not right in front of you. Start your meal with a clear soup or green salad to ease your hunger a bit so that you aren't as likely to overeat. If cutting calories leaves you feeling hungry, add extra servings of nutrient-dense vegetables like carrots, green beans and celery rather than higher calorie starches. The United States Centers for Disease Control and Prevention. "How to Avoid Portion Size Pitfalls to Help Manage Your Weight." Updated August 18, 2015. The United States Department of Agriculture. "Choose My Plate."